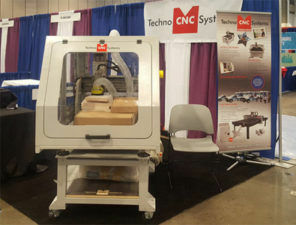 Techno is proud to introduce the NEW HD II tabletop CNC Router, a compact version of a full-scale CNC system that can be implemented in a production environment or educational setting. 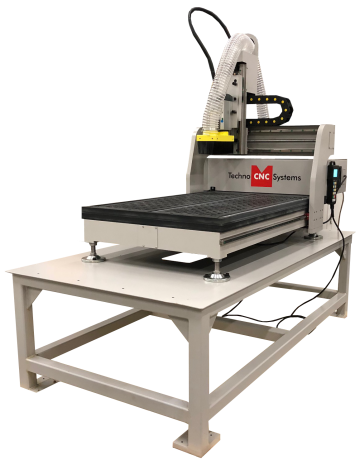 Techno CNC’s new HD II Tabletop CNC Router features a 20″ x 34″ process area, with a 7-1/2″ gantry clearance and a 9-1/2″ Z-axis stroke – comes standard with a 2HP HSD high frequency collet spindle, and vacuum t-slot table. 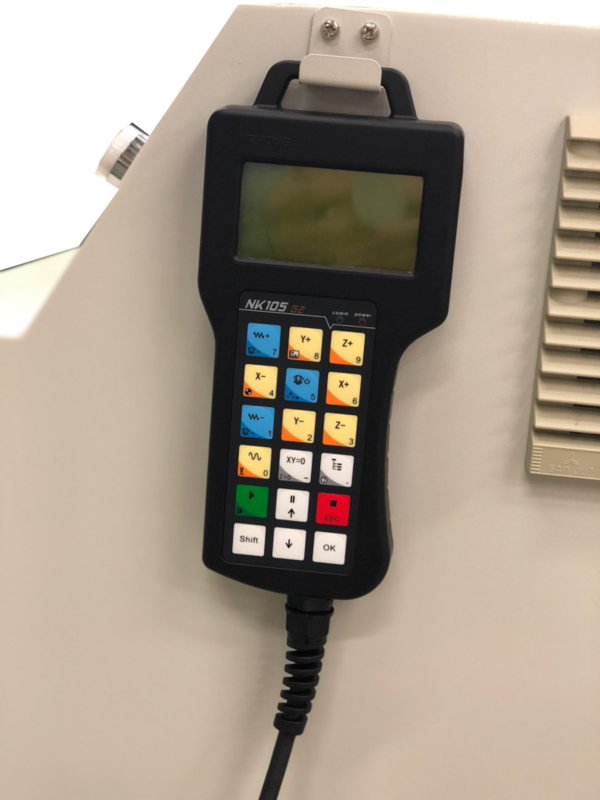 Additional options include a steel base and full safety enclosure with door interlock ideal for educational institutes, a 4th axis rotary table, and tool kits. 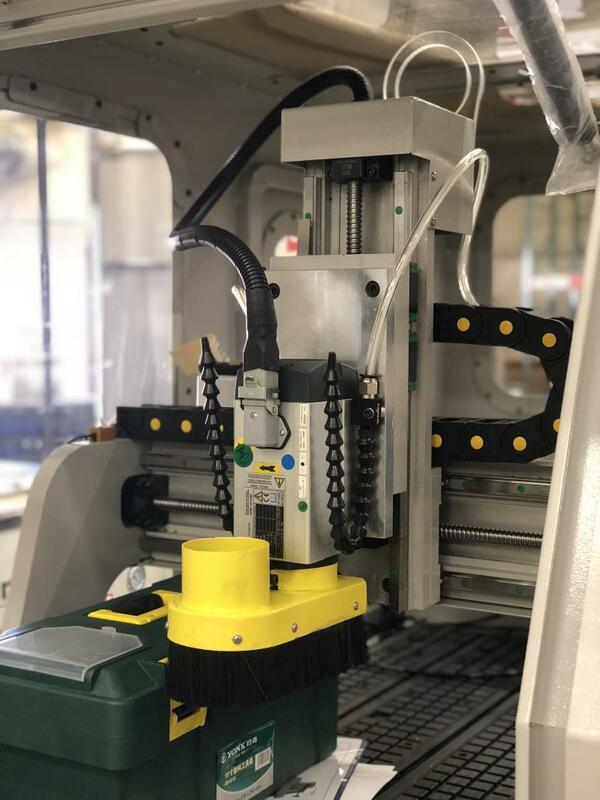 Additional features include Ball screws on all 3 axes, brushless stepper motors (servo optional), Heavy duty phenolic vacuum table with aluminum t-slot channels, and Techno’s hand-held controller which is the heart of the operational system. This hand-held controller redefines the phrase “easy-to-use”. The HDII Tabletop CNC Router comes with a 2 HP HSD high frequency collet spindle, 6,000 – 18,000 rpm ER 25 industry standard collets. The HDII Tabletop CNC Router comes with a 2 HP HSD high frequency collet spindle, 6,000 – 18,000 rpm ER 25 industry standard collets. Includes Vacuum Hood with 3” connection, collet wrenches, 1/8”, 1/4”, and 3/8”, ER25 collets, and cover nut. The HDII Tabletop CNC Router comes with a 2 HP HSD high frequency collet spindle, 6,000 – 18,000 rpm ER 25 industry standard collets. *Optional* Techno’s heavy duty steel base includes hand jack center cross strut for easy maneuverability. Techno’s educational safety enclosure feature ergonomic front main door with vertical swing, two side doors, (8) enclosure viewing windows, and 3.0” top dust collection port. 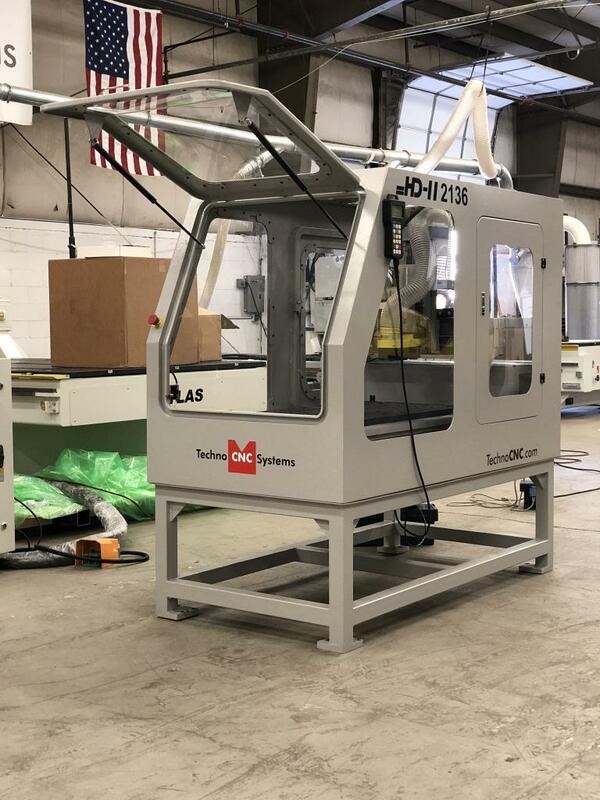 Techno’s HD-II Table top router with stand and enclosure is designed to roll through a standard 36” door opening making this model machine easy and convenient to move around facility. 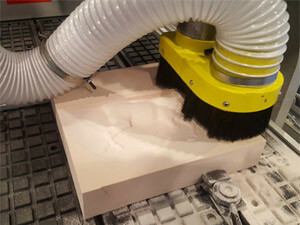 Techno vacuum t-slot table comes standard on our HD-II machine. 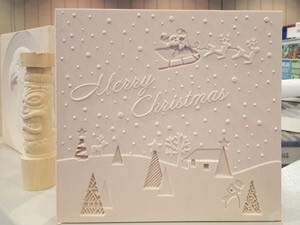 This unique design features multi-port zone sections which allows users to move gasketing around to create concentrated vacuum zones, where desired. 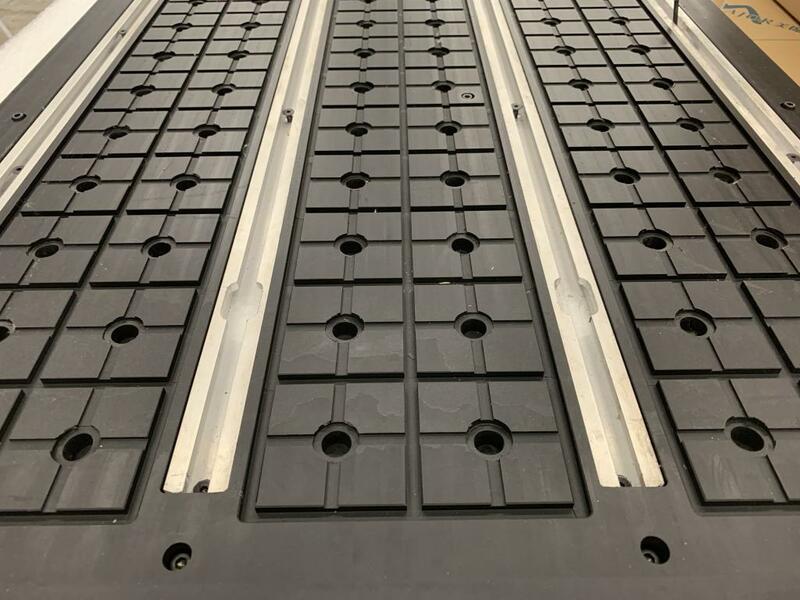 The heavy duty aluminum t-slots allow for mechanical fixturing, if vacuum is not required.